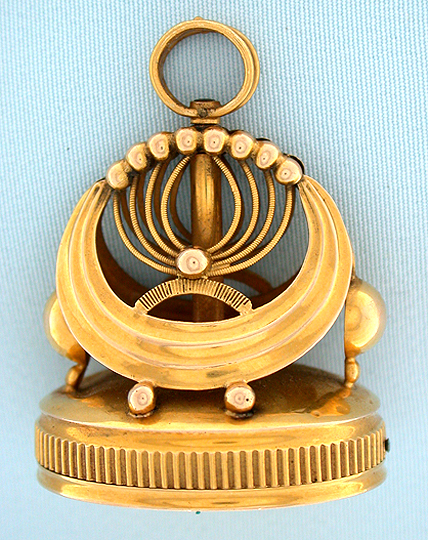 Fine continental 18K gold musical fob seal circa 1820. 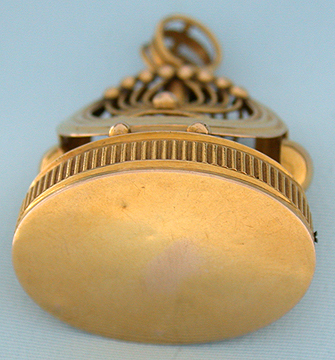 The very fancy and decorative fob with trip slide in the band, the bottom with minor dents. 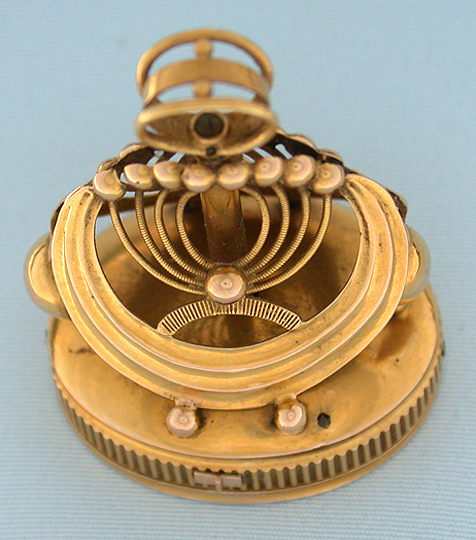 The typically somewhat noisy movement with pinned mainspring barrel and 9 tines.